Today only, while supplies last, score one of these LectroFan Sleep Sound Machines for ONLY $34.95 (Retail $49.95)! LectroFan is ideal for relaxation, study, speech privacy, or any situation where you'd like more control of your audio environment. It's also your personal white noise and fan sound machine to ensure a better night's sleep and peaceful rest. 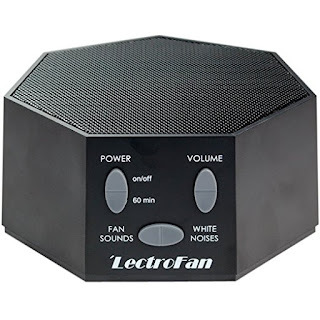 The LectroFan offers twenty unique digital sounds to mask noises, and you can choose from ten different electric fan sounds and ten variations of pure white noise. All sounds can be personalized with pin-point volume control to select across a wide range of sound levels - from a whisper, to many times louder than mechanical fan based conditioners.